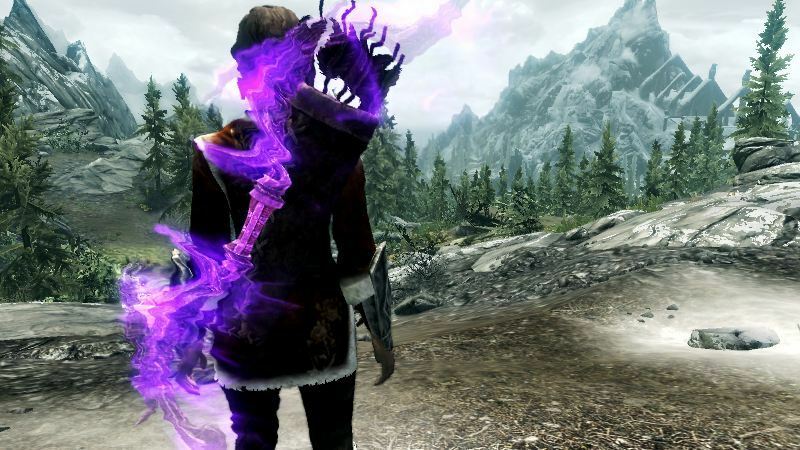 What One-Handed weapon perks associate with the mage staff weapon Kalix? I assume it's a sword-type weapon since it seems to behave like a sword, but wasn't sure and have been waiting to put perk points into my one-handed until I found out for sure. OH LOLOLOLOLO. There's a BIG one???? Hahahaa looks like i was over worried XD thanks man!!! Update on my last bug issue. I think its apply to only weapons and armors that required Charcoal. I tried upgrading other weapons, that dont need charcoal, and it WORKS!! 100%! Yamato (Katana) need 5 steel and 5 charcoal. Well steel is working, only the charcoal grayed out. Hope this help you in identifying problems with the mod. btw, my Skyrim is stacks with mods. like no blocky face, Faster horse, hair mod, some other armor mod. Not sure if this affected your mod. The idea is great but if I alter the scripts on the leveled lists then it would conflict with other mods that alters the same list. You will have to choose between Third Era mod and this mod or any mod that uses edited leveled lists. The Third Era Weapons mod does it, and it adds a lot of variety to the game. I'd do it myself but I'm a bit of an ESP noob. Basically, i like the mod, bit OP in some cases but you said as much in description in other words i got what i downloaded. A couple of requests 1/ could you make a version of the weapons/armors without the enchantments? 2/ if possible could you make the auric bow have the flame? effect that the aefnir bow has? I like both and am having difficulty picking which one to use. 3/ Make a version of the nightingale hood with a cape similar to the Venetian cloak(? ), but keeping the nightingale colouring? In any case many thanks. Ah! Sorry for that. The package was merged with my GOD items package. You'll have to restrain yourself from using those OP items. Nevertheless, there are a lot of items that are unique and game friendly to choose from.